On Tuesday Elisa, Vanessa, Loemaren and Angely went out with me to pass out Kids Center flyers to the kids in the surrounding area of our zone. They were shy at first, but then they started seeing some of their friends from school and got excited about it. It was a change from the routine, coming out to play and have our Bible lesson. Vanessa said it was the best day! I was glad to hear that. Our lesson for that day was when Jesus said to His first two disciples “Follow Me, and I will make you fishers of men” -Mathew 4:19. God has been helping me to see some different ways to encourage the young kids to not only come and learn about Jesus themselves, but also to share what they know and/or invite other kids to learn about Him as well. Flyer distribution was a good start! What I loved most was that they asked for extra flyers to take with them to school the next day. Then they complained when I was only able to give them three each “Solo tres? Que poquito!” They wanted to hand out a bunch! Since Tuesday was one of the hotter days this past week, we stopped for helados (frozen sweet milk with fruit flavor) and a bag of taqueritos (chips) from the pulperia. After that, they got to get wet with the hose for their time of play. Keep kid’s center ministry in your prayers! Pray for these young girls to grow up to love and serve Jesus with all their hearts, and to bring others to know Him too! Sunday nights youth from 13-17 come aside to study with pastor Greg. While he's not here, I get to fill in with them. Some nights we have up to about five or six students, while other nights it might be three or four. Julipsi, Judith, Melissa, and Sherly are those that are there each Sunday...(I think the boys are waiting for pastor Greg to get back!) Ever and Elian come sometimes also. We're continuing in the book of Acts, now in chapter 17. I love, love working with these youth, and my heart is to encourage them to stay the course especially through these impressionable years of adolescence. I know when I was that age, I was easily swayed by all the distractions and temptations of life, and I hardly ever wanted to be in church. Now I know that I should have continued with the Lord. I ended up wasting time in the world. But even still, because of God's faithfulness to answer the prayers of my church family and my mom, I can serve Him now and encourage these youth to stay the course, and finish the race. Pray that the teenagers would be kept strong in the temptations that they face, that they would walk after the Spirit and serve the Lord with all their hearts. Pray that they would desire more of Jesus than anything they can find in the world! 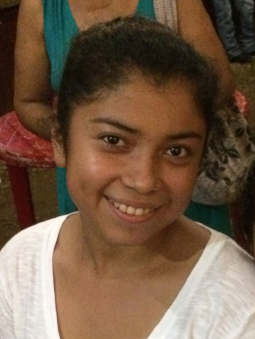 This past month, Blanca made a decision to follow Jesus! She had been coming to church regularly, but had always put off making a commitment to Him. Two weeks ago, she finally did it and we are so proud of her! She now needs so much extra prayer for the journey that is ahead of her in the Lord. The ups and downs that will come, the hard days and trials that will test her faith. Please pray for solid and continual growth in the Lord. Since she accepted Him, she jumped right into helping however she can at church. She is studying nursing right now at the Huracan college. Along with her, Katherine reconciled with the Lord the same day. She has had a lot of struggles, but sincerely wants to follow the Lord. Pray also for her that she would grow in a true relationship with Jesus! She has had health issues also, so pray that she would be healed and able-bodied to do what ever God calls her to. Thursday night was our first get together for our study in Why Grace Changes Everything. Victoria and Jaqueline are coming out for this study. After reading the first part called A Love Relationship With God, where pastor Chuck talks about how he used to try to relate to God through his works, both Victoria and Jaqueline expressed how they have felt the same way. Jaqueline even shared how she has believed before that if something bad were to happen to her or her family, sickness or something like that, she would immediately examine to see if she forgot to pray or spend time with God. As if their well being and God's care for them depended on her works. Oh how I pray that God would breakdown any strongholds in their life, and that they would know His grace and grow in a love relationship with Him. Please continue to pray for their growth in the Lord, and for God to continue to reveal to them any ways that they seek to relate to Him through their works. Pray that they would be set free! On Saturday, youth and younger adults from throughout Nueva Guinea came out for a time of worship and prayer for Nicaragua. We prayed for the political unrest, killings, against the work of the enemy, and for open hearts for the gospel. The event started at 3pm so that everyone could get home at a decent hour before it got too late. The youth from different churches in Nueva Guinea came together to worship and seek God's intervention in Nicaragua. It was just a really great time! 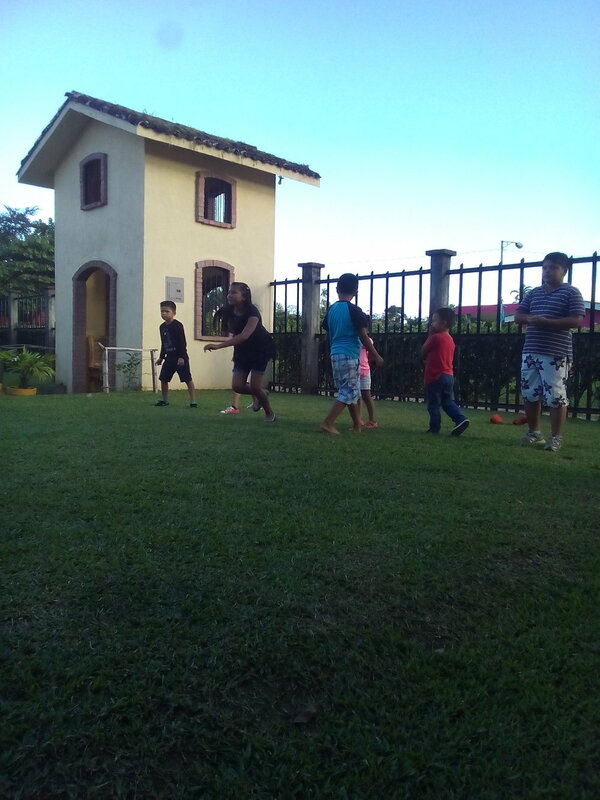 When that was over, the youth stayed for a game of volleyball. We are grateful that we have been kept safe by Jesus our Shepard and are blessed to continue to evangelize and disciple. Please continue to pray with us for Nicaragua! God bless you as you walk in his spirit! 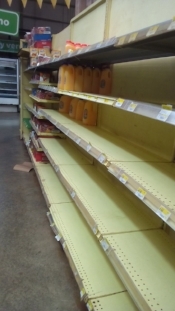 Today, as some of you have heard, there was a national shut-down here in Nicaragua. This meant all businesses (commercial, private, big and small) were to close for 24 hours, nationwide. Thankfully some people were able to get out and make some purchases yesterday, but at the same time, there has been less and less to even buy over the last few weeks to a month. It has been a very humbling experience for me, definitely, and I am grateful for it! Propane ran out in town last week, so we are cautious about how we cook so that we can conserve what we have. Cold showers and hang-drying our clothes is not new for us since we have lived here. We've been blessed to have had hot running water and dryer use at times as God provides for it, so not having it now really reminds me to appreciate it! I did used to complain though about the lack of variety of fruits and vegetables that we can buy here. I thought “I wish we had broccoli and brussel spouts (I love those! ), or Napa cabbage, good lettuce like romaine and butter, or zucchini and leeks (love those too! )...good berries and peaches!” Now, I am wishing I could just find our basic veggies again like carrots and onions that haven't gone bad or skyrocketed in price. 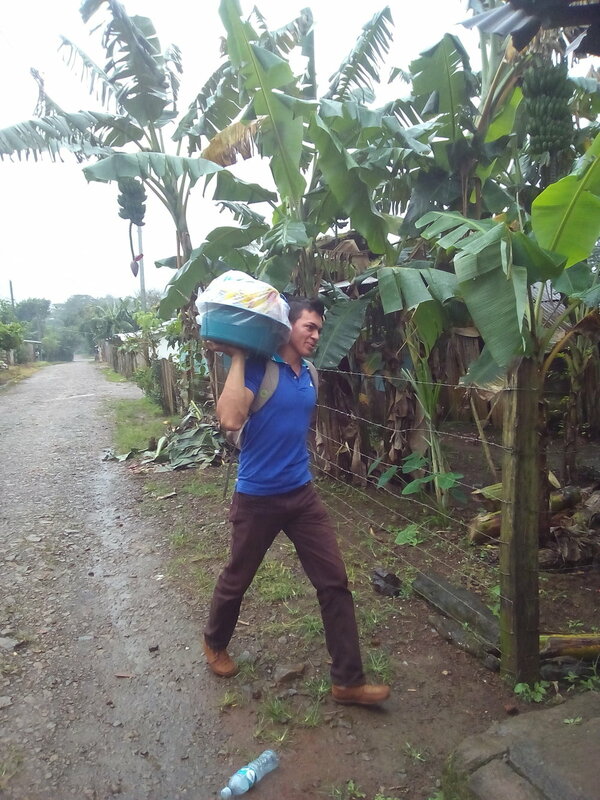 It's been an adjustment for us for sure, but it has been even harder on many Nicaraguans who struggle to make ends meet every day. In town, I've been asked by many people if what is going on in the country scares me or makes me want to leave. I do mention that having someone break in did make me nervous for a time, but that overall my trust is in the Lord and I don't feel afraid. That we could continue to have peace and confidence in the Lord, so that as others see it they may want to know how they could have peace, too! In a relationship with Jesus Christ! As food is scarce, and many people are out of work, pray that this would cause people to trust in God for their provisions. I thought I'd give you an update on Jaqueline. She is moving forward in her service and in her walk. We are continuing in the study of Calvary Chapel Distinctive's on Saturday mornings. We always have a great session because she loves to talk about the way God is showing her truth in the solid teaching of His word; book by book, chapter by chapter, verse by verse. It's a stark contrast to how she learned to read/study the Bible at the churches she visited before. She has a lot of questions, too, and she is always glad and assured when she can get a clear answer from the Scriptures. 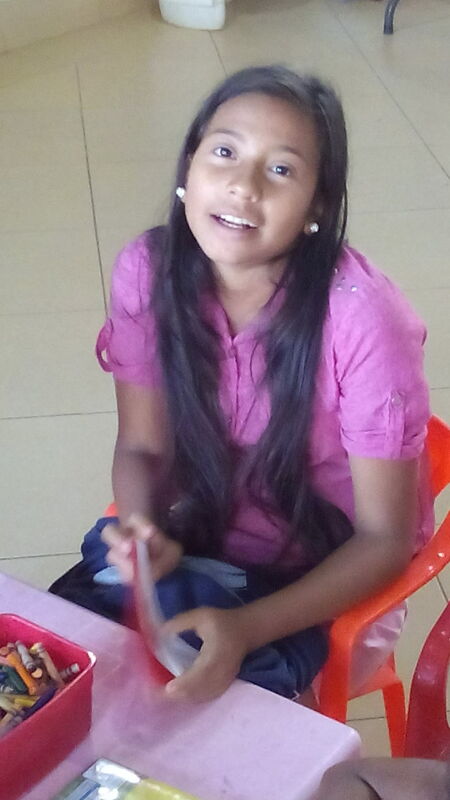 In youth center, she is moving forward from an observer to a game-player! She gets right in there with the kids to play, which I let her know is what they love! Next week, she is going to prepare a devotional to do with them. I know I have mentioned it before, but she is sure that one of her gifts is teaching. Pray for God to continue to develop that gift in her, and that the Spirit would use it to the fullest for God's glory! I was happy to welcome Victoria to discipleship class on Tuesday nights. She is a 19yr old young lady who has been coming with her mom for some time now. When she was younger, she would come out for kids center in the afternoons, but for college went to live in Managua for a time. She and her family used to visit the Kingdom Hall of the Jehovah's Witnesses, but stopped a long time ago. She hasn't yet made a personal decision to receive Jesus as her Lord and Savior, but she is on top of homework assignments and listens carefully during studies. I pray that God would open her heart to Jesus, and that she would grow in knowledge of the truth about Him. Please pray for her with me. Teachable kids in the park! Well, last Friday night, no older girls came out for youth night. I thought I would go out to the park with a volleyball and see if I could find some to invite. As soon as I stepped out of the gate, little Sani and Loemaren ran up to greet me and find out why I was outside! These are the young girls that come during the day and they were out in the park playing with some other young kids there. So, I made my way out and couldn't find any older girls so I decided to just play with the kids that were there. It started out with a few, but then more came so we played volleyball. 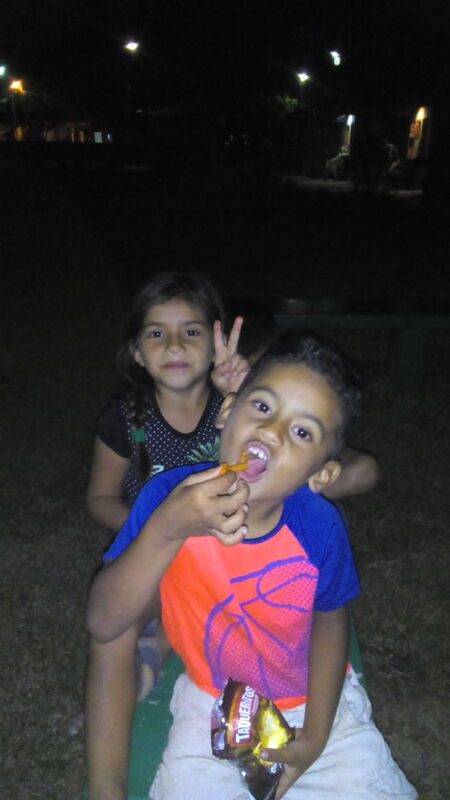 After, I took them to the pulperia to get some Taqueritos (their favorite spicy chips), and we sat on the park benches and read the parable of the pearl of great price. When we finished we sat on the grass together and were looking at the stars and the moon. Then they started asking all kinds of questions about their size, and why the sun and moon follow you. It was cute. I really prize these moments that I get with them! Continue to pray for he kids in Nueva Guinea. A lot of them live in Catholic homes where they have Mary statues that their families (and some of them, even) pray to. Andy, another boy who comes regularly, was telling me that night that he prays to Mary. I told him that Jesus is the one who hears our prayers and answers them, not Mary. They have a lot of influences around them, so pray that God's truth would be what takes root in their hearts! One thing about serving with the kids at youth center is teaching them how to serve without expecting something in return. A while back, I started doing a star chart rewards system with them. When they cleaned up, behaved really well, did homework, they got a star. They loved it, and I loved it! That is, until they began doing things only to get a star! Over the course of their earning stars, they began to fight over who had more. They began to demand a star when they did extra cleaning or helping. Some would think up a hundred different tasks to do if they would get a star for each one. I would tell them that they shouldn't do things JUST to receive a star. That would usually end with them not doing anything at all. Then I would find that kids were giving themselves stars when teachers weren't around. And on this went. So for a time, I stopped doing the star chart so that they could learn to do things without demanding/expecting things in return. There are a few kids that come that genuinely like to help and they don't ask for anything after. I love when kids just want to take the broom and mop and clean up after youth center. To these kids, I love to give a little something because their heart is right about serving, but they won't always get a treat and they are ok with that. More than just a treat, I like to really verbally encourage their effort and let them know that it pleases God. I know this blesses the heart of God, and it blesses me to see that. This is the service that we want to encourage, and we pray that they continue this way and grow up to be examples for other kids that come. Andy and Amir are two of those boys who just like helping! One Friday after youth center they stayed to help clean up. Andy picked up trash and Amir cleaned out the bathrooms, and they did it gladly! Pastor Leon Sr. used to tell us “Always remember who you serve, but also remember WHOM you serve”. Pray for the kids to not only know that they serve God, but to come to know the God that they serve in Jesus Christ. Here is a glimpse of our newest group on Friday nights. There are more boys than girls, but I know God will continue to bring them out. This is for those, ages 13-17. Some of the 18 and older group have moved on into discipleship class with Greg on Tuesday nights. The Friday before last I invited two young girls from the park. They came in and stayed for worship, but as we went into the classroom and were going to start Bible study, one of the girls was a bit uncomfortable because she said she was a Jehovah's Witness, so they didn't stay, and I hadn't seen her since. I honestly didn't know how to respond, and I didn't want to make her feel like she had to stay. She was free to leave. Over the next couple of days, I was praying for her, and on Saturday I ran into her on the street and she was asking again about Friday nights with youth. Lord willing she will be back again, and hear the truth about Jesus! I can't remember her name well, but pray for this girl, and for other young girls and boys to hear about Jesus! We continue to have a class full of kids on Sunday mornings which has been great, although there are days when only three or four kids come out. I never saw myself as a Sunday school teacher. Ever. But, I see the value and blessing in it now that I am older. As a young girl, I remember being in Sunday school myself, and how learning about the Lord brought light to my life since I grew up in a broken home. My mom teaching us the Bible and taking us to church are really some of the more wholesome memories that I have of my childhood. In the midst of craziness, being in Sunday school is where I sensed Jesus in my life and where I felt safety. Now as a Sunday school teacher myself, my heart grows for the kids God brings each morning, knowing that some of them experience the same difficulties in their homes, and need to know that God sees and knows them. I love for the classroom to be a warm, welcoming place for kids to come into, even just making it a point to acknowledge them by name. The Bible says in Psalm 92:13 that "Those who are planted in the house of the Lord will flourish in the courts of our God" Pray that as the kids come out each week, being planted in the Lord's house, they would flourish spiritually as they grow older! 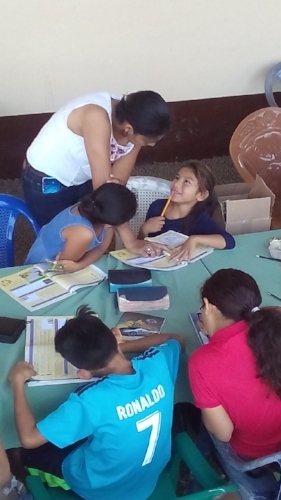 At the same time, pray for us teachers: Gabriela, Suyen, myself and Lucy, to be led by the Holy Spirit, and create a space for the kids to thrive in. I am currently working on a small project making coin jewelry with Centavos, Nicaraguan coins! This will help to raise funds for missions support in a creative way. Now, this is not the only style I have in mind. I went out to buy a few different beads and things to make them with so that there is a variety. I wanted to get your opinion on them first, thought...especially from you crafty sisters! Private message me if you have any ideas or suggestions as far as style/colors/look, etc., and if you have any Jewelry-making do's and don'ts to suggest for me. Let me know what you think of them! So, as some of you know, we are putting together a kid's fair outreach at the end of this month. There will be carnival-like games including a bucket toss, ring toss, a guessing booth, punch-prize game....etc. . I thought about making kettle corn! Worship and two puppet shows are part of the outreach, as well as evangelism. Today I did some shopping and price-checking for the different things that will be needed for the games and prizes, and also for decorating. The one thing that we are looking to put together not just for use at the fair, but for long term ministry use, is a puppet theater. The cost for this to be done (including the fabric necessary to cover) is $50. If you would like to help out with this, we would greatly appreciate it! You could just click on the link: www.graceministriesint.com/donate to donate, and also send a note to Greg, greg@graceministriesint.com to let him know you donated for this project. This would really bless the children's ministry in general as well as other events in the future. Thank you so much, your support makes these ministry opportunities possible! During Sunday school class, I am going through the days of creation series. They are learning how God created all things so, I had made playdough for the kids to play with so that they could “create” what they wanted. Well, I took the play dough out during a day of kids center and the kids loved it! While they didn't 'create' something new, they were more than excited to make tortillas, enchiladas, donuts and cakes! Sani and I made ourselves noses like Mrs. Potato head and the kids thought it was hilarious. We had a good time and good laughs. 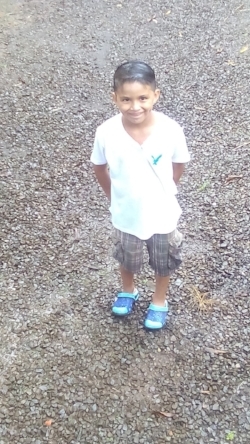 It is good to see Omar, Dona Karla's nephew, laughing more and enjoying kids center. Before, he was more anti-social and could not play peacefully with other kids at all. But as he continues to come out we are given more and more opportunities to show him and others like him God's love for them, and in turn see how God brings about change in them. Pray that we would work joyfully with them, loving on them, that they may know God's love in Jesus. Jaqueline and I just finished our second week in Calvary Chapel Distinctives class. She loves it so far, and it has only been one week! She is a lawyer and also a teacher at a college, so she can get pretty busy. During our last class, she explained that for a long time now this question comes to mind of “is this all there is? I should be doing something more in life, this can't be all.” She told me that she senses God's call on her life to serve in ministry. Currently she is on the roll sheet for church cleaning and is helping a lot at youth center. Being with the kids has been a challenge for her (in a good way) because working with the kids does require patience and energy. But even more important, it will hopefully cause her to press into the Lord more to depend on His Spirit's guidance and strength. She has been a great help there, and the young girls are growing more fond of her the more she comes around. I love to spend time with her, and I love that she loves the Lord. Elizabeth (left) and Melisa (right). It was Melisa's birthday on that day. They were grateful for the basket, praise the Lord! This last Friday was the last day of school for most kids here in Nueva Guinea. They are out for their summer break. Summer begins from December until the rainy season in April. They go back to school in February. The kids that I have been giving class to are going to be in the 6th grade. It is exciting because I have been giving most of them class since they were in the third grade. Three of them (Juan Carlos, Emily, and Marelin) I gave class to when they were in Kindergarten! Some of them have since switched to studying in the afternoon (12p-5p) as opposed to the morning turn (7am-12pm) which is when I go to the school. So, some of the students in my class now are new for me….but many of them I have come to know well over the past few years! It is great because I was not only able to present the Gospel to them, but also come back each year to keep teaching them about the Lord. This is what I appreciate about the school ministry! Profesora Francisca has always allowed me to come back and teach in her class. As they get older, they will always remember what they learned in Bible class in elementary school. I can still remember when Llesner, who is now in 5th grade, told me when he was younger that he learned to pray when I started there to do class with them. That blessed my heart so much! Next year may be my last year with them at Ruben Dario, and I really look forward to it. Please remember that giving financially towards missions has been what has helped me be able to be here and minister in this way to the kids of Nueva Guinea. Your donations, big or small, make a big difference in advancing kingdom work! Ok, so here is the post I promised you of the young girls that are coming out for youth center. Again, these are not all of them, but they are the ones who come out every single week. Vanessa is missing here, she is in Costa Rica with family, but she also comes out weekly. Vanessa, Sani, and Loemaren come out for church services also.